Below are a selection of books authored by Micah, and also be sure and check out his list of recommended reading by other authors here. * Do mirrors act as portals to other realms? According to Dr. Raymond Moody, many of his patients described experiences with what they perceived as apparitions of their deceased loved ones in reflective surfaces; what element of the human mind is the root behind such experiences? * Do Tibetan mystics possess the ability to create “tulpas” or thought-forms that manifest physically from their mind alone? 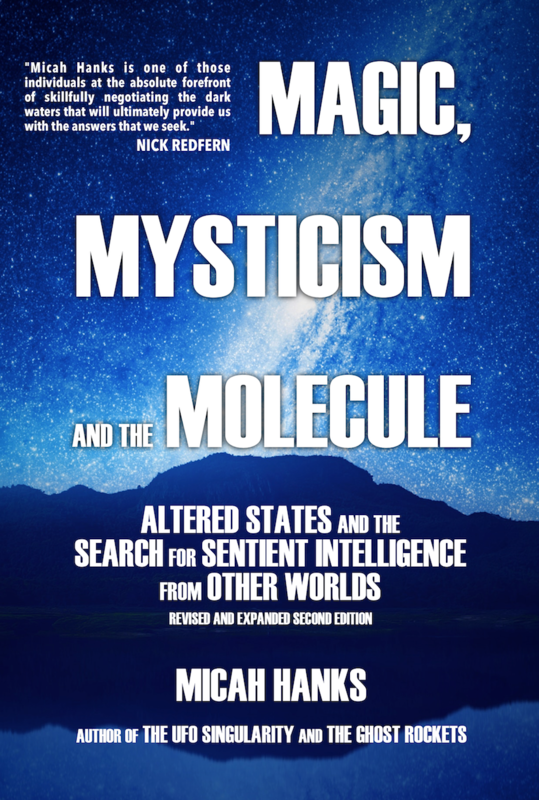 * How are sleep paralysis, UFO abductions, out of body experiences, psychedelic visions and near death experiences all interconnected? Could they all be much more similar than we’ve previously imagined? 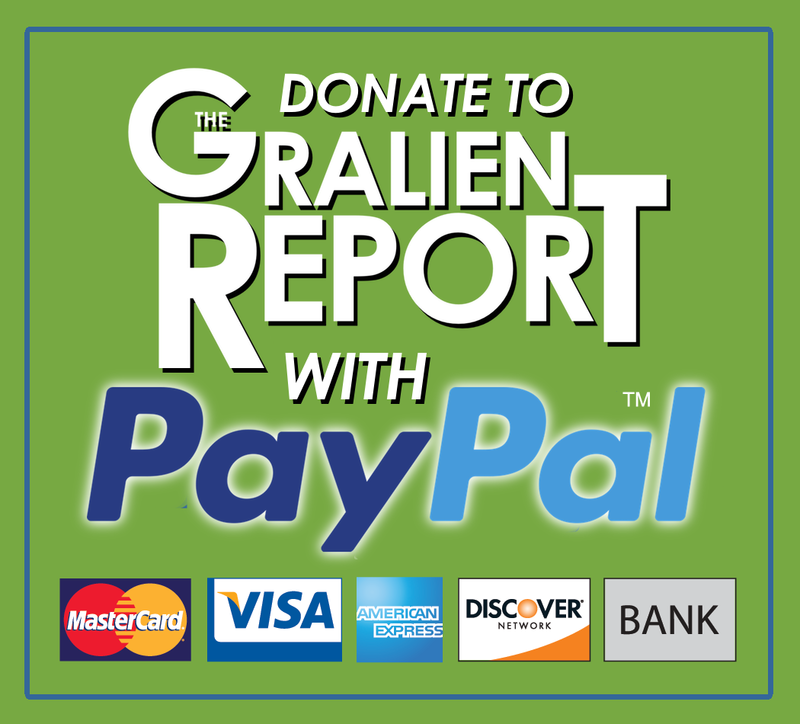 Also, if you’re interested in obtaining signed copies of these titles, email info@gralienreport.com for details. 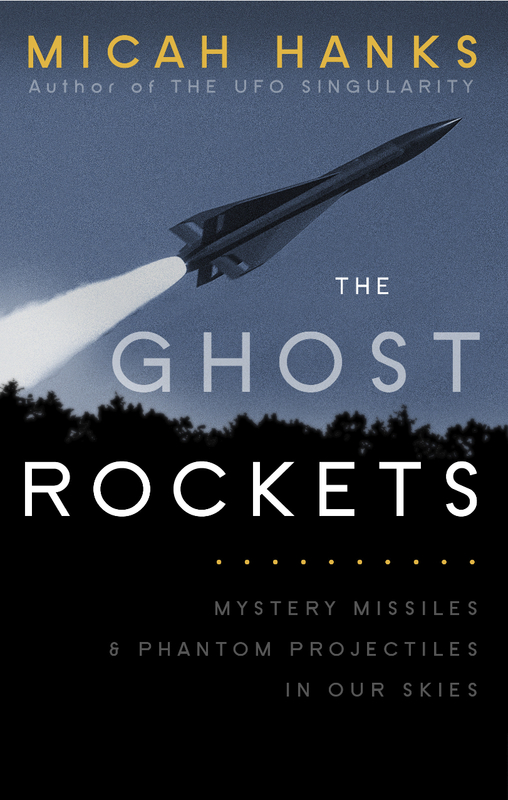 The Ghost Rockets examines the strange history of unidentified rockets and projectiles reported throughout the last several decades, as well as investigations into a number of conspiracies that have transpired since the end of the Second World War that involve such apparent technologies. Some of these involve some curious, almost apparitional phenomena that are more closely related to secret Nazi propulsion technologies, observed over Scandinavia immediately after the war. While there is a strong UFO component to such reports, other cases discussed in the book involve passenger planes and other aircraft which may have been struck down by errant missiles, in which case cover-ups have ensued for political reasons. However, this phenomenon is not relegated solely to the years just after WWII. In the chapter titled, “Fear and Flares over Long Island,” an examination of the infamous TWA Flight 800 crash is presented; but rather than asserting that a missile took down the craft, as is alleged by many conspiracy theories proposed over the years, we look instead at separate reports of unidentified “ghost rockets” that appeared in the months and weeks leading up to the crash, as well as a few which took place shortly afterward. Why were these missile-like objects being reported by trained commercial airline pilots so close to the time of the disaster, and what was their source? Finally, the book concludes with an examination of recent cases that have been made publicly available by NASA’s Aviation Safety Reporting System database, which describe numerous encounters with unidentifiable rocket-like aircraft, many of which fly dangerously close to other aircraft. An exhaustive appendix section also surveys the majority of the better-known ghost rocket reports chronologically since WWII, along with a number of less widely publicized cases as well. Does this research indicate an unconventional history of drone technologies that have been developed since the late 1940s? Have secret weapons technologies been developed and tested in our skies, which may have led to a handful of deadly accidents? Or is there something more complex to the mystery of The Ghost Rockets? 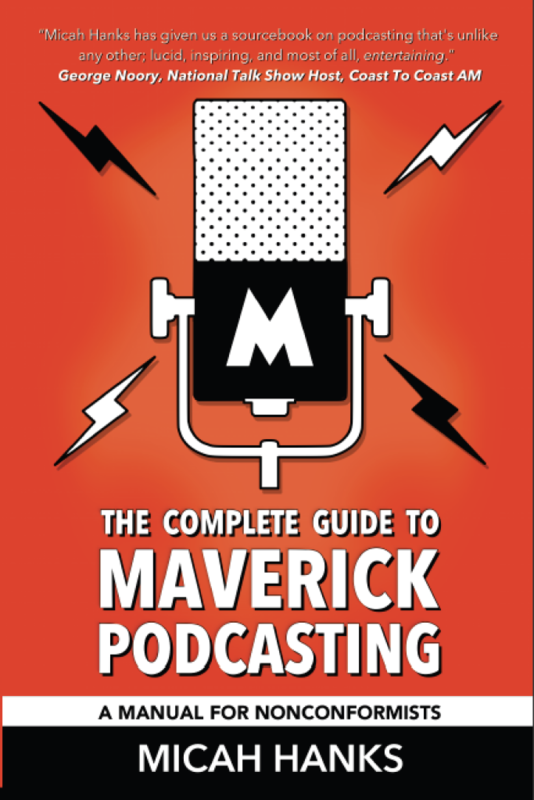 In this instructional installment from author Micah Hanks, the world of podcasting and audio journalism are explored… along with a few of the more the “unconventional” elements of what makes this medium more accessible and rewarding than ever before. 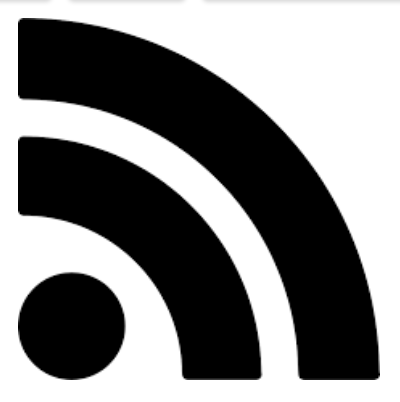 Podcasting has become a medium utilized both by major broadcasters, as well as those who seek to reach smaller audiences from the comfort of their homes. But it is also something that evades many who could be doing it, because of a few simple misconceptions: chief among them, the idea that it’s just too difficult to learn how to do, or simply too expensive to put time and money behind. Dispelling these and many other misconceptions, Hanks unravels the mystery behind “the art of the podcast,” and offers a unique perspective on how the medium can be used as a promotional or monetary endeavor, even while traveling. Additionally, he explores the various methods and equipment involved, and how podcasting can be used to engage like-minded thinkers, broaden one’s own horizons, help launch a new business, or even promote an existing one. But be warned: This book is not for the average would-be audio enthusiast. However, if you’re a free-thinker, and a nonconformist spirit willing to throw yourself to the lions in the quest for reaching new personal horizons, this is the book that will help you learn to use the art of podcasting to your greatest advantage. Reynolds Mansion is among the oldest remaining antebellum homes in the Southeastern United States. Within its halls and corridors, one will find a wealth of history about the house, shared through family portraits and pictures that adorn the walls, as well as colorful antiques and the dazzling additions of its present owners. Though it serves today as a top-rated bed & breakfast, the unique southern home is also a treasure trove of mysteries for those who seek the more strange and unusual aspects our lives can offer. Here in the historic Reynolds family home, the essences of hard-living pioneers, a controversial North Carolina Senator, as well as the nurturing presence of a young girl, long departed from this world, can all be felt by those who enter today. And here, one man’s hopeful attempts at unraveling the mansion’s many mysteries will reveal parts of its incredible history that have remained obscured for decades… until now. This is the story of Reynolds Mansion, and of those who live there today, carrying on the tradition of its unique heritage. You may also learn more about The Reynolds Mansion Bed & Breakfast by visiting their website (click here).